Unfortunately I am not able to host Scratch Day this year. However there are two being hosted in NZ. Check them out @ Happy Scratch Day. One is hosted by Erika Rhodes at Paraparaumu Community Centre and the other by Jill Pears Linwood College in Christchurch. Have a great day! My students and I have been enjoying working on a Scratch studio called "Create Your Own Planet". It has captured their enthusiasm and imagination! Their projects are so varied and creative. Mother Day Cards - Every thought about getting your students to send ecards for Mothers Day. 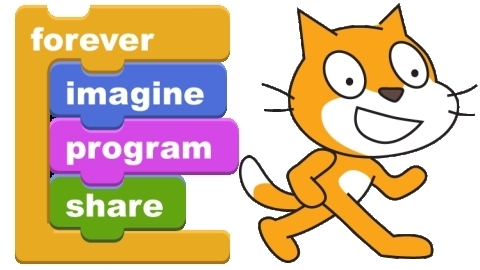 Scratch Ed has a fun example http://scratched.gse.harvard.edu/discussions/teaching-scratch/mothers-day-project. But if you want an alternative to Scratch Tynker.com provides a step by step tutorial - Mother Day Card. Ross Hampton on Try making an interactive holiday card - Hour of Code Day ( 1972 days ago ): Excellent little task for scratch with good help support. I'll be using it! !